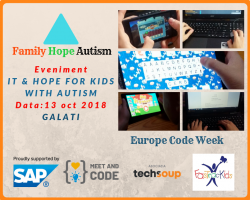 The event, IT & HOPE FOR KIDS WITH AUTISM, aims to promote the chance equality, interactive learning with the help of technology, social interaction and integration of children with autism. The activities implemented in the event program bring together 20 children participating in workshops, with mixed sessions structured on educational circles, organized according to the degree of difficulty, the individual needs and children’s age category. The applications presented will aim to teach letters, numbers, abstract notions, words, sentences, mathematical operations, logical games, social stories and group games. 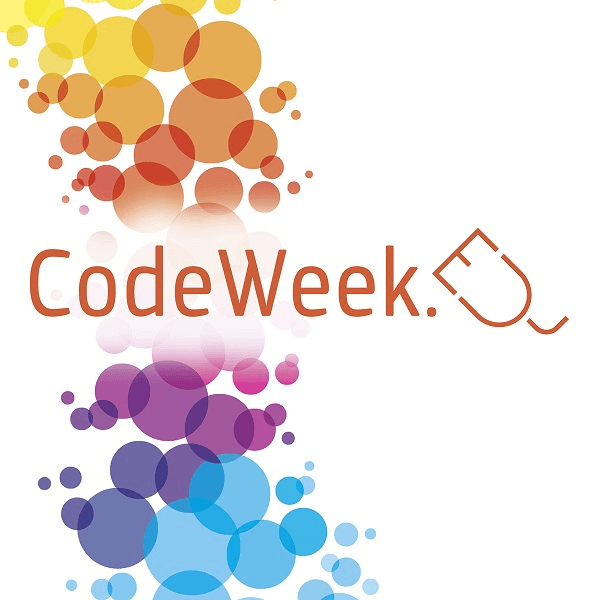 The participating children have ages between 8 and 16 and the program will be divided into two groups of 10 children, between 9.00-11.00 and 12.00-14.00, in the city of Galati, Romania. Children participation is free of charge. The children will serve sweets, water and juice, and at the end they will receive a diploma and a CD that they can use at home to practice the notions presented in the event program. We want this event to have continuity and become a project in the future to obtain remarkable progress concerning children with autism.